What Do Lenders Look For If You Want to Buy an Off-licence? There are certain things that lenders look for, follow this guide to make sure you meet the lender’s criteria. Although competition from supermarkets is strong, small convenience stores still have a vital role in many communities and can provide a profitable business option. Running an off-licence as part of the business can be a major contribution to their profits. So, buying a convenience store with an alcohol licence is an attractive proposition for anyone looking to get into the sector. Whether you are looking at modern purpose built premises or more traditional style with living accommodation upstairs, you will be able to find lenders who can support your plans. Those lenders will be looking for some key qualities when they review your loan application. Here’s what they will be looking at before they approve your application. As well as independent off-licences (these days they are usually part of a convenience store) - several larger chain-based off-licence companies still exist. These may be operated as a centralised business. There may also be specialist off-licences, such as those focusing on fine wines, gins and craft beers. These are usually found in sophisticated, urban areas. 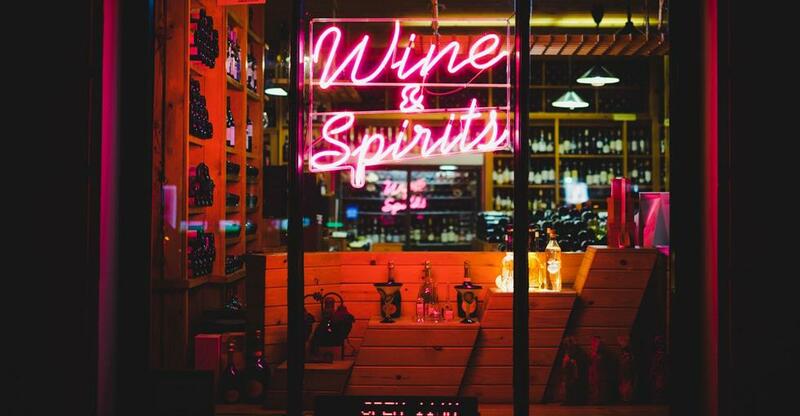 If you intend to buy a specialist off-licence, you may need to pay special attention the target market you wish to serve – who exactly are you targeting? How are you going to make it appeal to your target demographic? If there are other similar businesses in the area, why should they choose you? Running any business depends on understanding and managing the costs involved as well as creating profits. Property costs. Buying your business may include the cost of buying the property itself – which may or may not include accommodation above the retail area. Alternatively, the business may lease the retail premises. You will need a clear idea of the cost of buying or leasing the property. Business rates. These may depend on the size and turnover of your business operation. Stock costs. There are various ways to fund the stock you need to sell. You need to know the costs and how the existing business deals with them. Operating costs. You will have ongoing costs for electricity and heating, staff, and marketing. Having a clear idea of these costs will not only help the lender understand that your approach is businesslike – it will also help you to see exactly how much you will really need to borrow. Under the Licensing Act 2003, anyone authorising the sale (by retail) or the supply of alcohol will have to hold a personal licence. To qualify for a personal licence, you must hold a licensing qualification as a Designated Premises Supervisor (DPS). This is issued by the local authority, and to become a Designated Premises Supervisor you must pass a licensing law course known as the Award for Personal Licence Holders (APLH level 2). Without a DPS in place you cannot sell alcohol in your shop, even if you buy a business that currently has a licence. You cannot be awarded a license if you have any kind of criminal conviction, other than driving offences. As well as a personal license, you will need a license for your premises. Your local authority will be able to provide you with details of the licensing you need, and any special requirements they may have. Most lenders will expect you to have the necessary licenses in place before agreeing your application. Location is vital to success in retail. It is so important that major retailers use sophisticated location analysis tools available that include traffic pattern information, demographic and lifestyle data, and competitive analyses to determine the viability of particular locations. Most potential retailers will need to use their own common sense. If you are buying an established business, you can see if the location is viable for the amount of business it is already doing. With a convenience store, people will tend to come from the immediate locality, so it makes sense to find a location that is densely populated, and where there will be a high level of footfall. Most retailers look for town centre premises, where there is plenty of passing trade. A convenience store can succeed in a town centre, but it may be even more successful in a parade of shops in the middle of a large housing estate. Point out any special features of the location, like Industrial or office parks, colleges and hospital complexes and even railways stations and bus stops that may contribute to passing trade. Lenders will look at your location with an experienced eye. Many will have retail experts on their teams who will make their own assessment of the potential of your site. If you can draw attention to the positive factors, it could help make the decision go your way. Having the right premises is important. You will need adequate space for a secure stockroom as well as a sales area. A good level of modern equipment is also a positive. You will need security shutters and alarms as well as an attractive clean interior. Of course, premises can be extended, and tired retail areas can be refurbished. Lenders may prefer to see business premises that are ready to work, but they may also recognise that potential for further improvement is actually a positive. The retail trade is highly competitive. You will need to work long hours. Success as an off-licence may depend on staying open a little later than your competitors. But hard work alone is not enough. Experience working in and ideally managing a convenience store would be a sound basis for running your own business. Lenders might be encouraged to approve your application if your experience is supported by formal training such as a Retail NVQ Level 2 or Level 3. Taking courses in customer service and basic bookkeeping might also impress lenders – they would certainly provide you with valuable knowledge. Lenders will look at your credit history. If you or any business you’ve previously run has defaulted on loans, your chances of success are small. Late or even disputed payments can also damage your credit score. So, before you start your application run a credit check. If your business credit history is damaged, you need to take steps to repair it before applying. If you haven’t owned an existing business, lenders will assess your personal credit rating. Lenders will expect you to put up 10%-20% of the total required into the business as evidence of your commitment. For larger loans, the lender will also require security or collateral (something they can take and sell if you cannot make the repayments on a loan). A business plan is essential to opening any kind of business, this helps lenders understand your business proposal, and decide whether it is likely to do well, turn a profit and they will get their money back. It’s worth getting professional help with your business plan. Make sure you get your accountant to go through the figures. The lender will look at your proposal much more favourably if it has been professionally checked and is error-free. Your business plan will be at the core of your application. You may need to support it with other documents, such as previous accounts from the existing business. You might need to consider what type of funding is best for your needs. You should certainly be selective in the lenders you apply to. Some lenders specialise in the retail sector, while others will not be able to help you.